A privately-owned penthouse suite at the Westin Hotel in downtown San Diego has a 3,500 square foot laser-cut Limestone floor with wood inlays. The floor was dull and dirty-looking and needed to be restored (see the first image). The owner of the penthouse had one company after another take one look at the floor and decline the job, because they just did not have the knowledge or experience to restore the stone without ruining the wood inlays. As you can see in the second image, we were able to hone, polish, and seal this beautiful limestone floor without damaging the wood inlays. This was one of our most memorable jobs. Both we and our client were very pleased at the results. It turned out perfect! 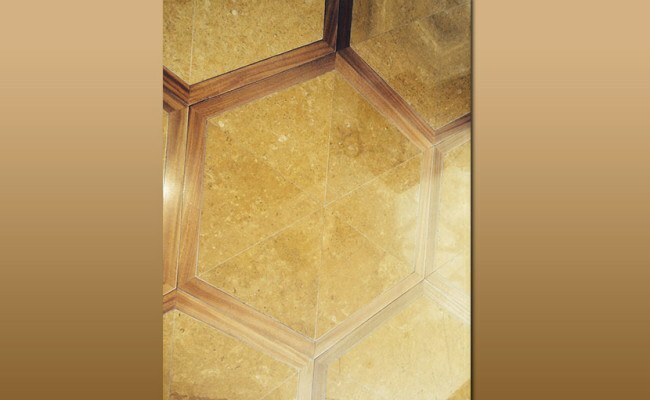 If your limestone, marble, granite, or other natural stone floors are dull and dingy-looking or are etched, scratched, or otherwise damaged, they can be restored to like-new, even if you have wood inlays or any other decorative element. Perhaps you have been putting off calling someone to come restore your floors, because you’re worried about inexperienced contractors doing more harm than good. An experienced, professional stone restoration technician will know how to protect special features and surrounding surfaces that have the potential to become damaged during the restoration process. To learn more, visit our Limestone Services page. At Set In Stone Restoration, our technicians have the knowledge and experience to safely restore limestone and virtually any type of natural stone surface. 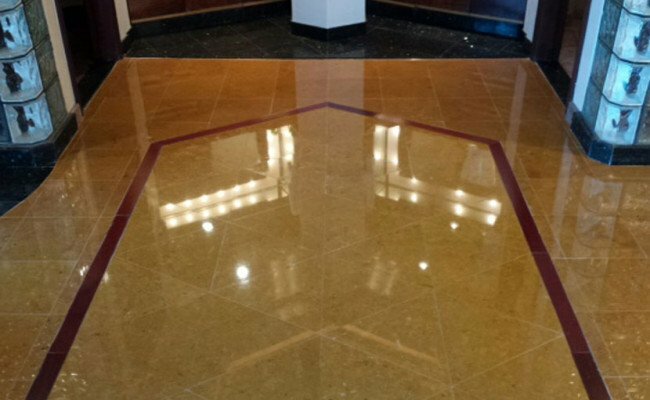 We provide comprehensive limestone floor restoration services throughout the San Diego area. Contact us online or call 619-246-0240 today for a free estimate.